After four years and thousands of hours of development, AMD recently released the first three models of its highly anticipated, high-performance AMD Ryzen desktop processor. Strong demand for these new desktop CPUs drove record pre-orders from more than 180 global etailers and boutique OEMs throughout the week prior to launch. Now offered for purchase around the globe, Ryzen is the first processor based on the entirely new AMD “Zen” core microarchitecture, bringing leadership multi-core performance for PC gamers, creators, and hardware enthusiasts around the world. Started recently there are three 8-core Ryzen 7 models available. 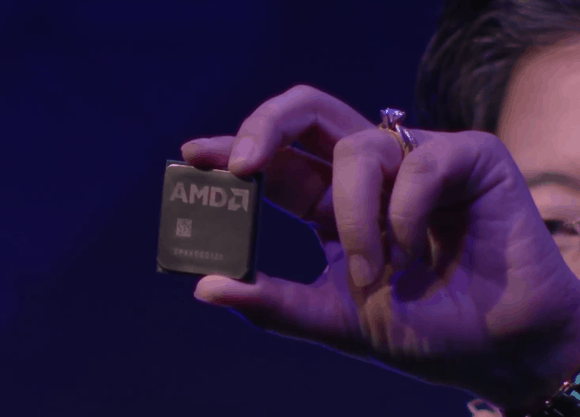 Beginning in Q2 AMD expects to launch 6- and 4-core Ryzen 5 processors followed later this year by Ryzen 3, which is designed to bring more performance to mainstream applications. All Ryzen processors support the new AM4 infrastructure, with motherboard designs available from top ODMs. “Ryzen processors incorporate intelligent, performance-boosting technology that provides PC gamers, prosumers, and enthusiasts with incredible responsiveness, outstanding performance, and more immersive experiences, all in an extremely efficient package,” said Jim Anderson, senior vice president and general manager, Computing and Graphics Group, AMD. Alongside Ryzen 7 processors, AMD also announced the product specifications for two Ryzen 5 processors, and demonstrated the flagship Ryzen 5 1600X beating the flagship Intel Core i5 7600K by more than 60% in multi-threaded CPU testing. In addition to being available to DIY builders and boutique PC vendors, in the coming months consumers will also be able to purchase Ryzen-based systems from top PC vendors. “As the eSports and virtual reality markets continue to grow, Dell is committed to offering cutting-edge technology to enable the best gaming and immersive experiences. We are excited to bring AMD’s new high-performance Ryzen processor to select desktop and All-in-One products in the coming months,” said Ray Wah, SVP, Consumer Product Group, Dell. During an event in front of global press, industry analysts, and partners last week, Ryzen CPUs were put through their paces and have already broken world records [v]. ASUS overclocking expert Jon “Elmor” Sandstrom, veteran overclocker Petri “SF3D” Korhonen and the AMD Ryzen OC team managed to push the AMD Ryzen 7 1800X CPU to over 5.35GHz with record breaking performance in the 8-core CPU category. The liquid nitrogen-cooled Ryzen CPU completed the industry standard Cinebench R15 and R11.5 tests with scores of 2454 and 27.40. The freely available Ryzen Master Software utility gives broad control of CPU settings allowing users to squeeze every drop of performance from their CPU. AMD Ryzen processors are available starting today at select etailers. AMD Ryzen Processors Now Available Worldwide 0 out of 5 based on 0 ratings. 0 user reviews.